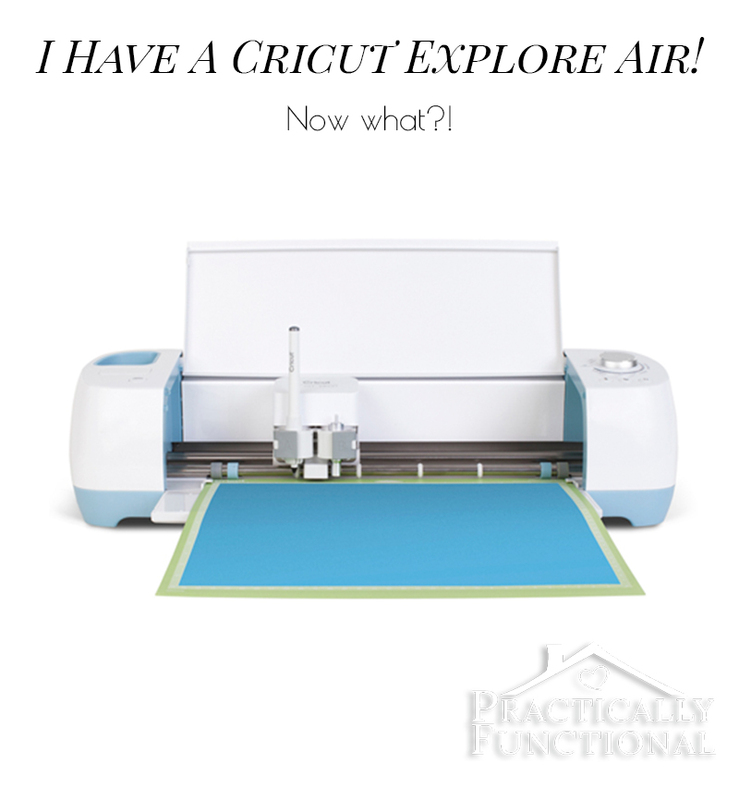 Home > Projects > Crafts > I Have A Cricut Explore Air! Now What?! 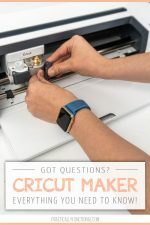 Cricut generously sent me their Cricut Explore Air™ cutting machine a while ago, and it has been a fun few months playing with the new machine and seeing what it can do! 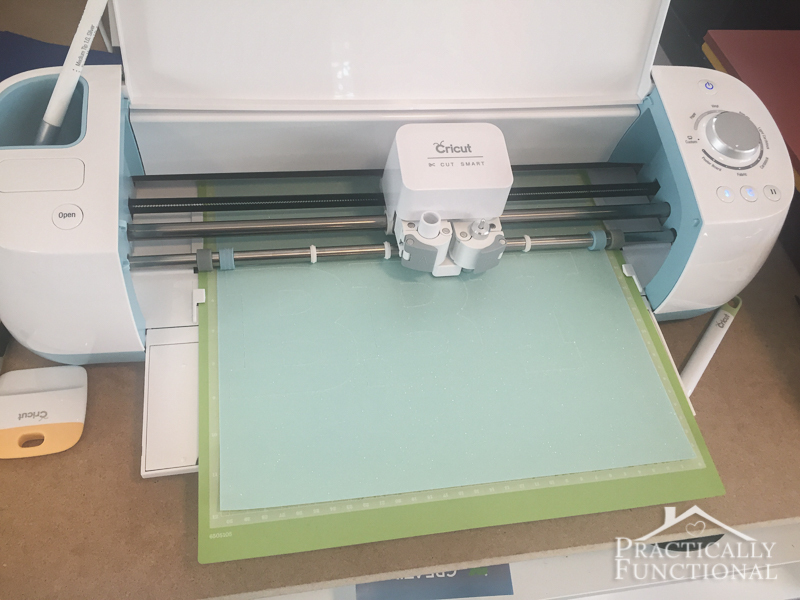 There are so many different things you can cut and create with this machine; I’m sure that in the few months I’ve had it, I’ve only discovered about 25% of what it can do. But as I keep learning I’ll be sure to share with you guys so you can learn too! The first time I was introduced to Cricut was in college. I was an RA, and the housing department had an old Cricut Create that we used to make all of our decorations for parties and events. I thought it was the coolest thing ever, and I found an excuse to use it every time we had an event planned. But the machine was limited by the cartridges we had. We could only cut out the fonts and graphics if we had the cartridge that contained it. At the time it wasn’t really a problem; the housing department had a lot of cartridges, and it never occurred to me to wonder if the machine could do more. 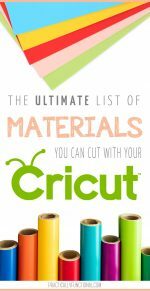 Fast forward a bunch of years and I’m at a blog conference talking to the Cricut rep who is telling me about the Cricut Explore machines that can cut basically anything! 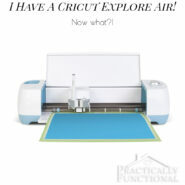 They connect to your computer like a printer, but instead of sending an image or design to be printed with ink, you can send it to the Cricut Explore machines to be cut out of paper, fabric, vinyl, or whatever you load into the machine! The Explore Air™ machine they sent me can actually connect to my computer via Bluetooth, which means I don’t need to worry about cables. I have my machine set up on a dresser in my craft room, and I can cut stuff out from my computer at my desk ten feet away; super cool! 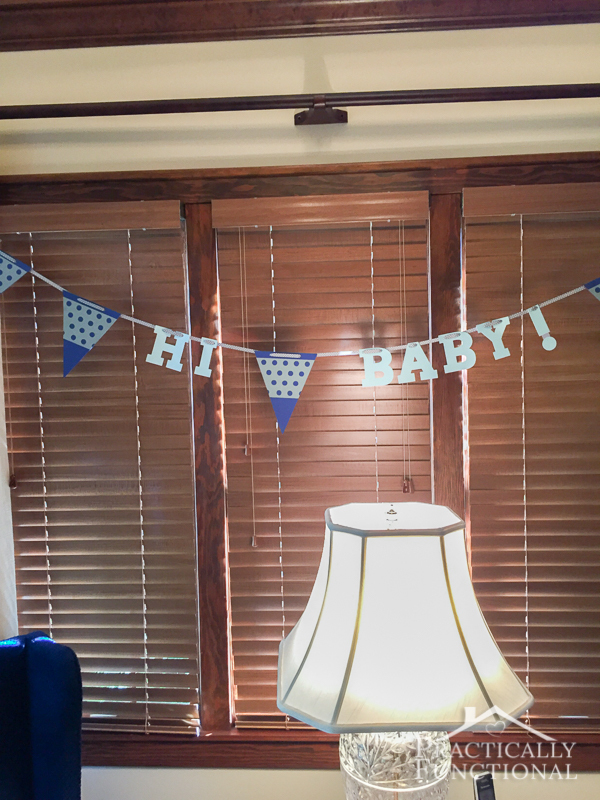 The machine arrived a few weeks before the baby shower we threw for my cousins, so I decided to test it out with some super simple baby shower decorations. 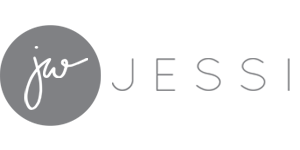 I did a quick image search in Cricut’s design space for “banner” and found a cute one from the Bits And Pieces cartridge (#MFB198 is the exact image I used). I also typed out “Hi Baby!” and sent the text and the banner to the machine to be cut. It’s definitely cool to watch the machine work; it can cut all of these detailed shapes in just a few minutes! 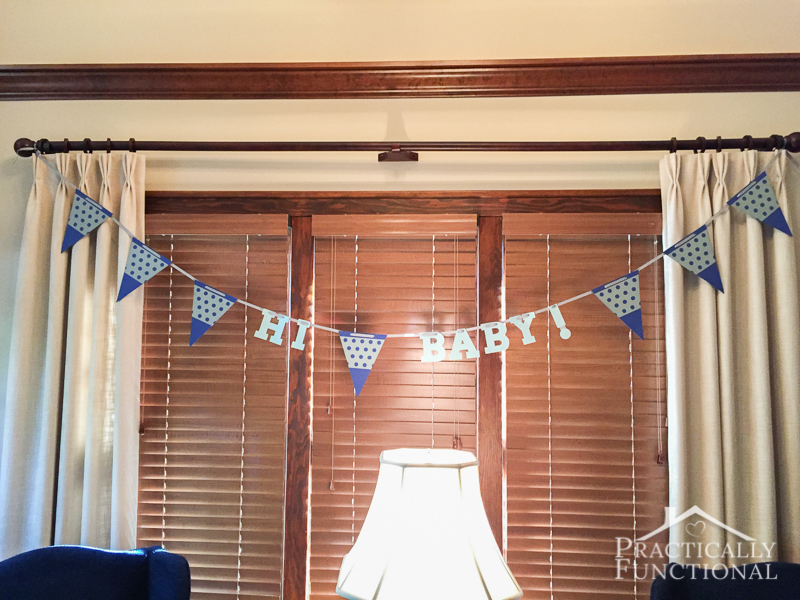 Once the machine was finished cutting the banners, I glued the grey piece on top of the blue piece to make a cute polka dot bunting. Once the letters were all cut out, I punched a hole in the top of each letter and bunting and strung them on a ribbon. Then we hung it up at my aunt’s house where we held the shower. It turned out so cute! 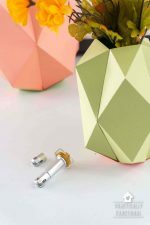 It’s such a simple project when you have a cutting machine to help with the cutting part! The whole project probably took about twenty minutes, and most of that was lining up the bunting pieces and gluing them together; the rest was easy! 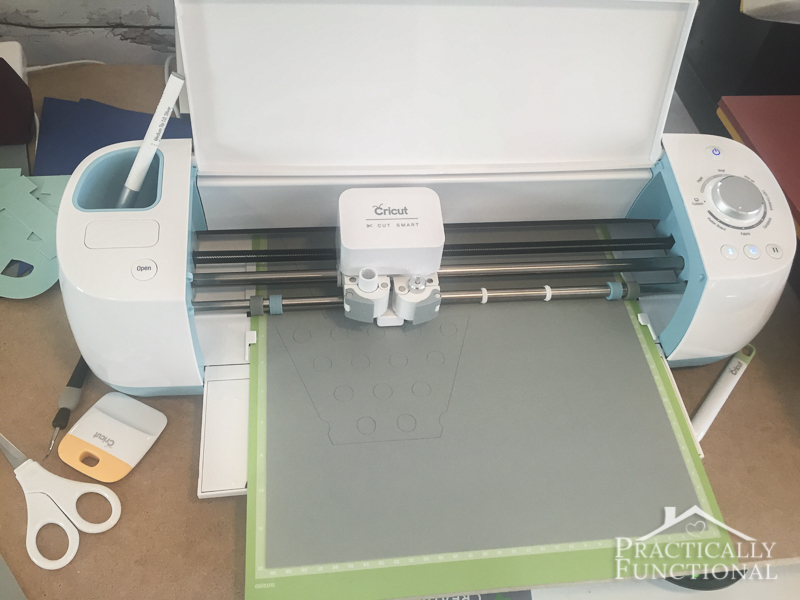 I’m just starting to explore what this machine can do; stick around and I promise I’ll keep sharing tutorials with you so that you can learn what your Cricut can do!